Basoko Arima mean forest spirit, espíritu del bosque. Basque country in Spain is a wooded and green land and in its ancient mythology the forest and trees are so important. 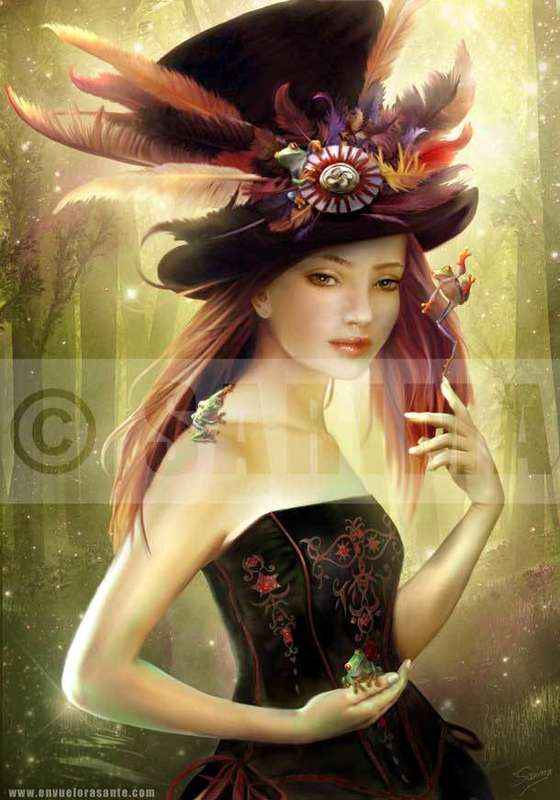 The symbol on her hat is a Lauburu, representing the four elements of nature, fire, earth, water and air. I´ve trying to make this work entirely with gimp, but at last I've tired and I've finished with photoshop. I'm not sure about hours of work, because this is not a comission, just a personal work and I've used to work on this in my free time.